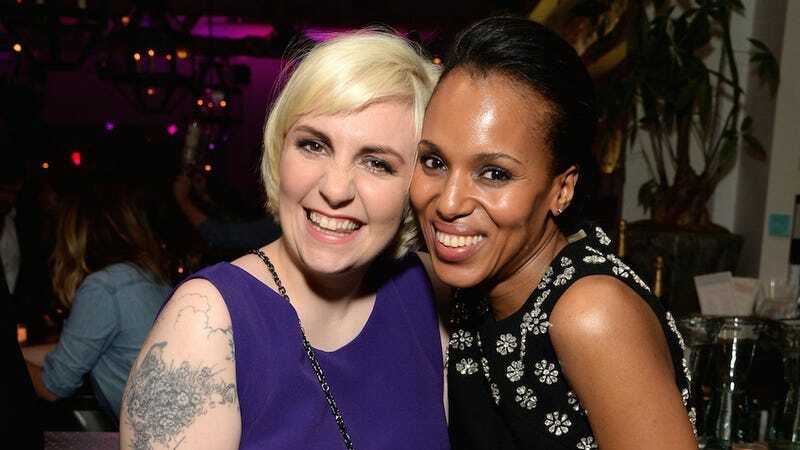 Lena Dunham will be guest starring on Scandal. Universes are colliiiidiiiiing. The episode is reportedly set to air in March, but no details on her specific role yet. E! News has confirmed the news, which comes a month after Dunham hired the real Olivia Pope to fix her life. She also spoke this into existence previously by telling Grantland in an interview last year, "Basically, my life's great passion is the idea of being a guest star on Scandal. I want to be like, a senator who did something wrong." The best possible outcome is if Dunham ends up being the person who finally kills Quinn.